In April I bought a shiny new VL Whisper wheel. You can tell by my grin how pleased I am! 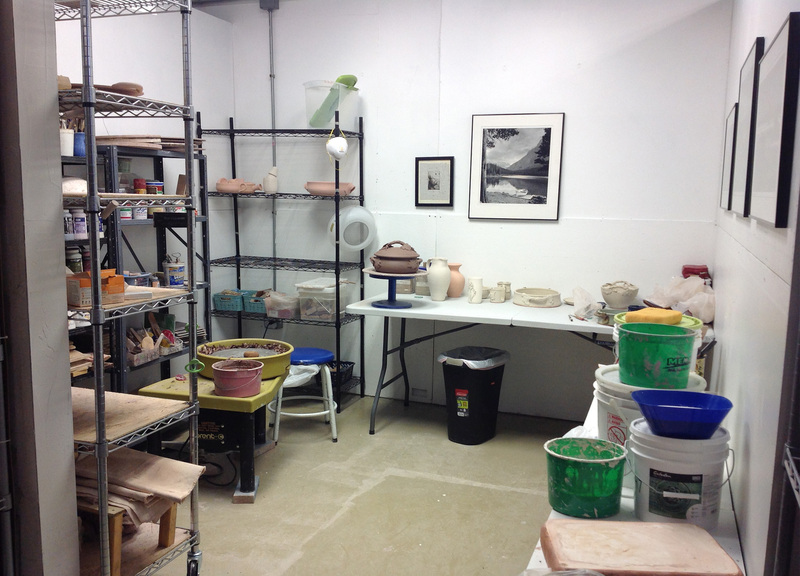 Who knew that a 10 x 10 private studio at ClaySpace could be so spacious and lovely! 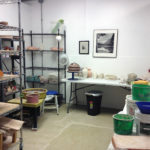 I recently moved into a private studio at ClaySpace and am loving it! Lots more shelf space, my own glazing area, surrounded by my Dad’s photos and, best of all, REALLY bright lighting so I can see what I’m doing! I have posted my show schedule for 2018…at least the shows I am anticipating since the jurying process has not yet finished! But I will make any changes once the official news is in. 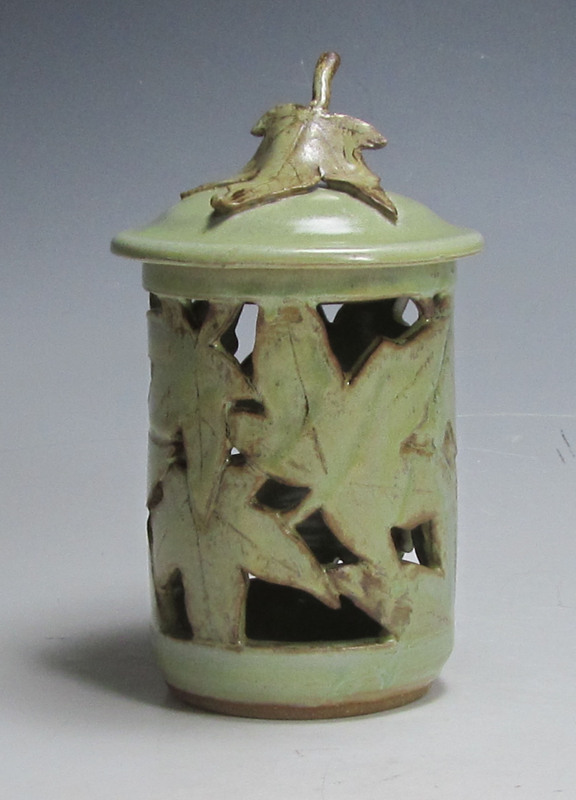 I will now have about a dozen pieces in the LaGrange Art League Gallery in LaGrange, Illinois. I will be changing these out every month or two to keep the selection fresh. Meanwhile, I’ll be hard a work building my inventory for the 2018 season. 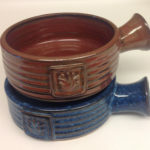 I’m looking forward to experimenting with the new soda kiln at ClaySpace, hoping I like the more random effects it can create on my sgraffito wares. 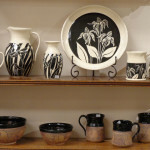 Thanks to some lovely photography by friend Jean Burnett, I have added some new work to my extended gallery page. I’ve also added a new show to the 2017 schedule, the Prairie Arts Festival in Schaumburg on Memorial Day weekend. 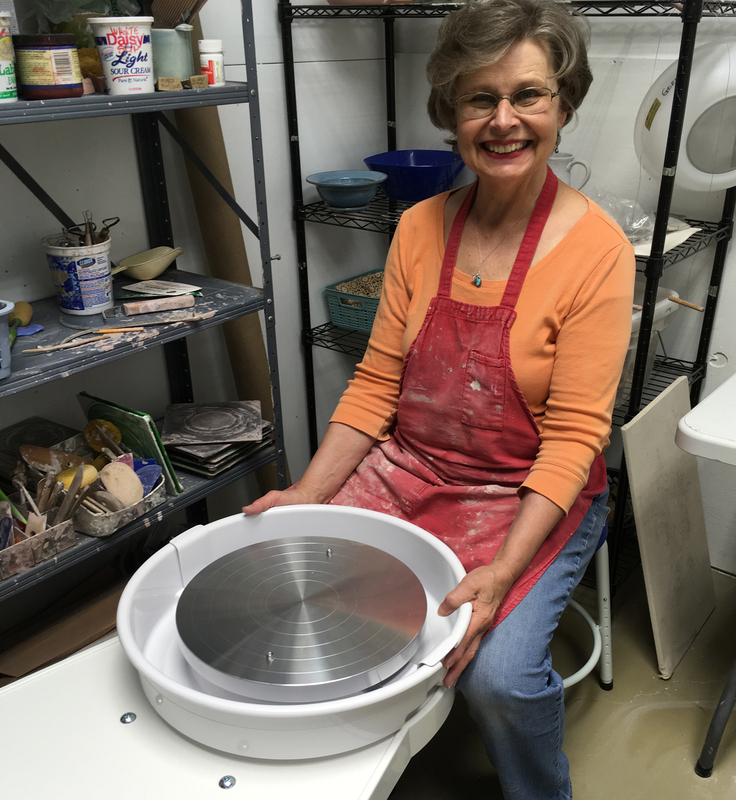 Now back to the studio to keep building the inventory for the busy season ahead! I made these bowls as brie bakers, but now I’m thinking of calling them Brie baker-chili-onion soup-ramen-pot pie-soup bowls! What do you think…too long?!? I think I’m finally catching on to uploading pictures more successfully! 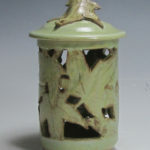 Here is my maple lantern done in the mint glaze. It’s a softer look, less weathered looking than when glazed with the dry matt green. I like this maple leaf shape better than the sugar maple shape because it is more deeply cut. I can’t remember what it’s called but it grows to a medium height in my front yard! My latest obsession is butter…making containers for butter, that is. 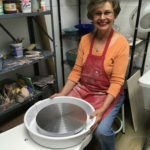 I went to a workshop at NCECA in Kansas City and saw a demonstration on stretching a thrown disk into an oval that looked like it would be fun/easy to do. Ha! Fun, definitely, but the challenge has been getting that circle into an even oval that is the appropriate length for a stick of butter. Since clay shrinks significantly and the walls of the cover also take up space, this is requiring major mathematics on my part! (Did you know a stick of butter is 5″ x 1″?) But butter dish #1 was successful. Butter dish number 2 was made in a different way, opening the clay lump into a small ring and also a larger hump in the middle to form the lid walls. When soft leather hard both the little ring and the wall ring are stretched to an oval or rectangle. 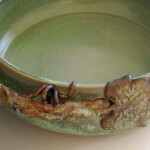 The ring is attached to a slab to make the dish bottom. Another slab is shaped and attached to the lid walls to make the cover. Dish # 2 also fits the butter. Dishes #3 and 4 are ready for the bisque but I am afraid #3 will require some trimming of the butter stick to fit. I think #3 will end up being the one I keep for me to use! 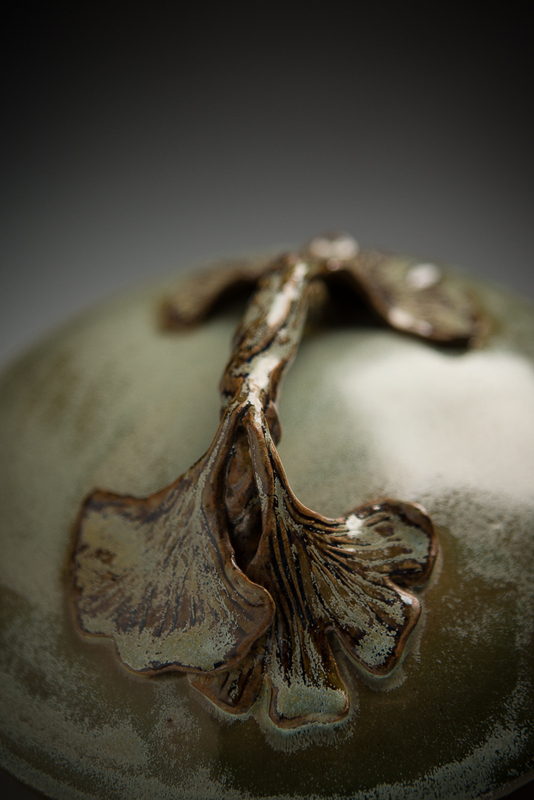 I should take some pictures of the process…although that’s a bit tricky when I’m covered with clay! 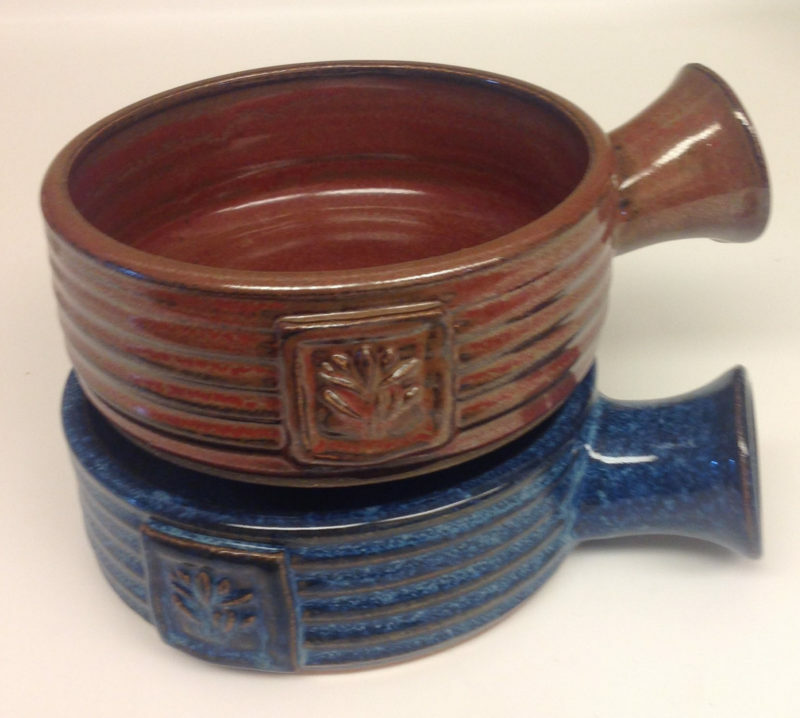 Pottery, I love. Technology not so much. 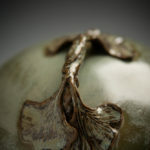 I have just spent over an hour trying to update my website so that my extended gallery shows some of my latest work and was only able to get one to picture to load. Aaaargh! Any hints to working with WordPress and Juicebox would be appreciated! 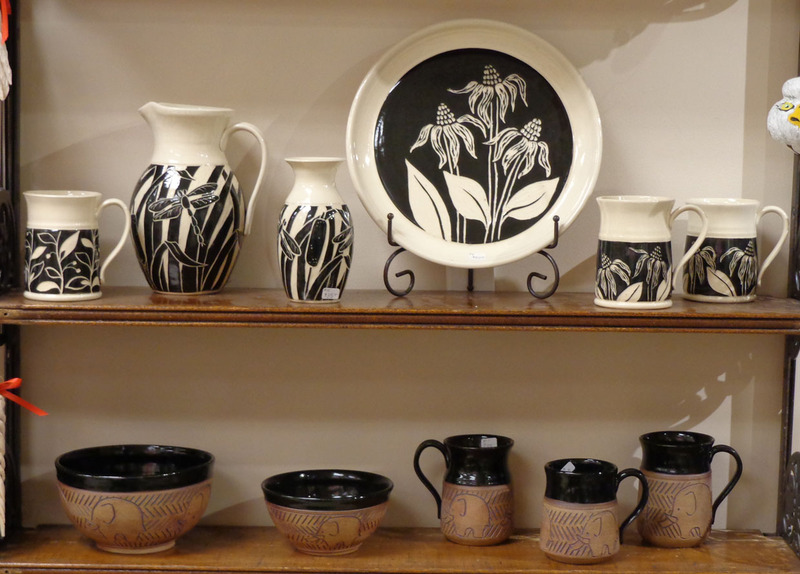 I am pleased to report that some of my black and white sgraffito work and my elephant pots are now in the Smith Studio and Gallery at 124 S. State Street, in Geneseo, Illinois. 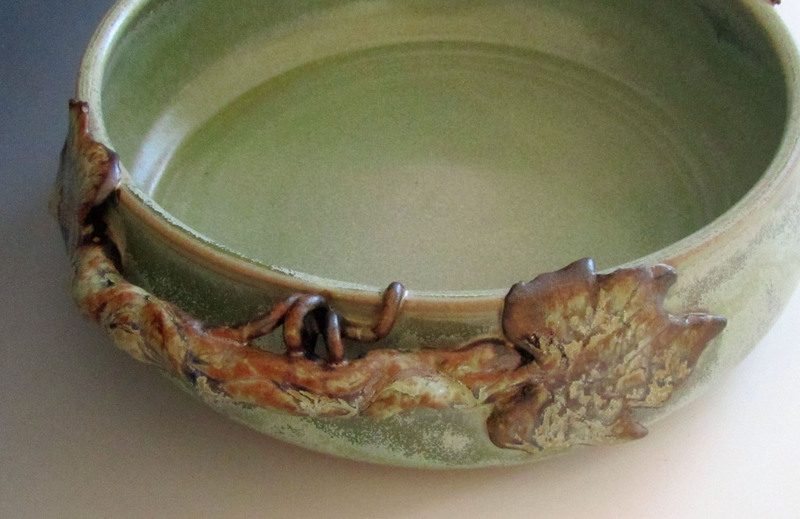 My new mint glaze is doing some wonderful things over my brown clay, especially where I layer it over some iron oxide stain. The bakers come out satiny smooth inside, but on the outside I sometimes get some glossier areas…love it!